Man United hoped they’d be in the shake up for the Premier League title at this juncture of the season, but instead – largely thanks to Jose Mourinho’s stewardship – they are in a four-way battle for a Champions League spot. It’s a battle they are currently losing. Since Ole Gunnar Solkjaer has been made permanent United boss, the Red Devils have stuttered and two defeats in their last three games have seen them slip to fourth in Champions-League-spot mini-league on 61 points, behind Chelsea (66 points but having played one game more), Tottenham (64 points) and Arsenal (63 points). So, this weekend’s Old Trafford clash with West Ham has taken on extra significance, with anything other than a win leaving them with an uphill task to qualify for next season’s Champions League. West Ham, meanwhile, are the epitome of mid-table and are in neither the mix for top six nor bottom three, but they also happen to be in a poor run of form. Three defeats in their last five games – the most recent coming in a London derby at Stamford Bridge on Monday night – has left them well off the pace in the battle to be the best of the rest and pushed them into the bottom half of the table. Get the best odds for Man Utd v West Ham and our other featured games with our selected bookmakers below. 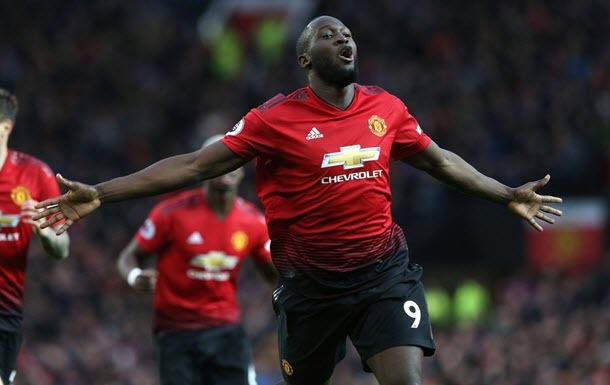 If the Hammers are looking to end their season on a high, a trip to Old Trafford with United looking to get back on track is far from ideal, especially after the Manchester men suffered a narrow midweek defeat to Barcelona in the first leg of their Champions League quarter-final. For that reason alone, it’s difficult to see the Red Devils slipping up. But with both sides having lost their last two games, the outcome here may not be as straightforward as it first appears. United’s confidence will have been dealt a blow in midweek and there is no doubting the surge of belief and energy that accompanied Solkjaer’s arrival has dissipated since his permanent contract was agreed. It’s not inconceivable that a nervy Old Trafford could be made worse with an early West Ham goal, so it’s well worth considered Marko Arnautovic as first goalscorer at 9/1 10.00 +900 9.00 9.00 -0.11 . We still think United will have enough though and a 3-1 home win at 11/1 12.00 +1100 11.00 11.00 -0.09 is excellent value. 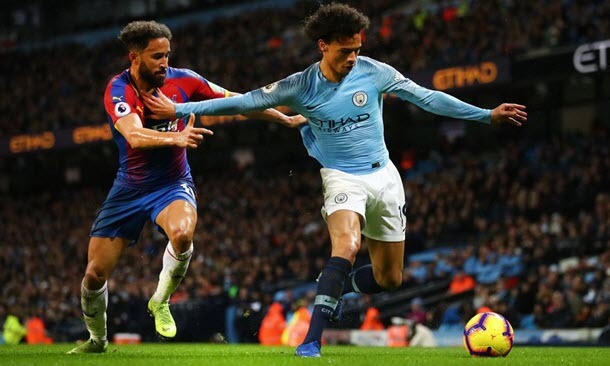 With a second successive league title in their sights, not to mention the chance of the quadruple, City dare not slip up at Selhurst Park. With Liverpool not playing for another 24 hours, this offers Pep Guardiola’s men a great opportunity to open the gap at the top again and heap the pressure back on the Merseysiders. The wily Roy Hodgson will, of course, have Palace set up to do to City what Tottenham did so successfully in midweek – when they beat the Citizens 1-0 in the first leg of their Champions League quarter-final – but it’s hard to see the Eagles having enough in attack to trouble Otamendi and Laporte in the way Son Heung-Min did. Equally, it’s hard to see the Palace back-four keeping Aguero and co as quiet as Spurs’ defence did. We therefore anticipate a tight game for the opening 45, with Palace sitting tight and not committing too many players forward, but with City eventually grinding them down and running out comfortable winners. A two-goal City win is the favourite for a reason, and we even feel at 6/1 7.00 +600 6.00 6.00 -0.17 , 0-2 represents decent value. Also, Aguero will be itching to get back on the scoresheet after misfiring and missing a penalty in midweek, so 4/1 5.00 +400 4.00 4.00 -0.25 for a brace seems a perfectly sensible bet. This one is huge. Massive. Gargantuan. Assuming City beat Palace on Saturday they will be a point ahead of the Reds with both teams having played the same number of games, so this is one that Klopp’s men simply cannot afford to lose. To do so would hand the initiative to Guardiola’s men as the season enters the final straight. It also smacks of that infamous game in 2014 when goals from Demba Ba – following a Steven Gerrard slip – and Willian gave the Blues a 2-0 win that effectively ended Brendan Rodgers’ Reds chances of a title. While they will not be keen to admit it, the Anfield faithful will be fearful of a repeat and with Chelsea enjoying a more than decent record on Merseyside, this really does represent a potential banana skin for Liverpool. Unlike Man City however, the Reds won’t have a Champions League hangover to shake off, as they handled their midweek quarter-final with Porto comfortably, emerging with a solid 2-0 win. So, while there is still work to be done, their away form in Europe has improved and they will back themselves to get the job done. The win also sets them up nicely for this game and with Klopp expecting a clean bill of health for his squad following the Champions League game, it really is all systems go for the title. While all the talk has been of a Man City quadruple, the Reds have efficiently gone about their business and are themselves in with a chance of a remarkable double. All of this adds extra pressure when they go toe-to-toe with the Blues of the King’s Road, who themselves have a Champions League spot still to play for. 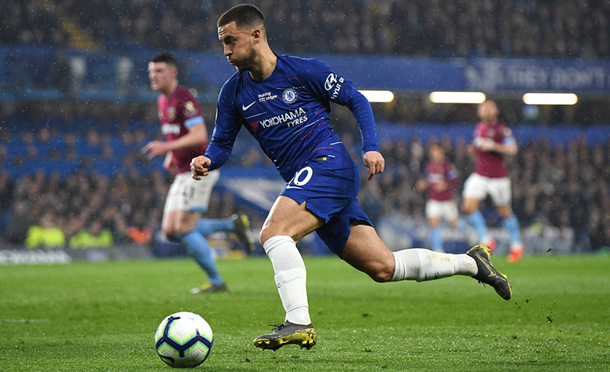 Ominously for Liverpool, Eden Hazard, who maybe entering the final weeks of his Chelsea career, has hit a particularly rich vein of form and almost won their recent home game against West Ham single-handedly. To succeed on Monday night, Virgil van Dijk and co will need to keep a tight rein on the Belgian in what promises to be a fascinating evening. As always at Anfield, we expect the Reds to come flying out of the traps but with Hazard in full cry we envisage an extremely testing night for Klopp’s men. So much so, we can see them dropping points and with goals expected, the 2-2 at 16/1 17.00 +1600 16.00 16.00 -0.06 looks very tempting. Also tempting is the 18/1 19.00 +1800 18.00 18.00 -0.06 on offer for Hazard to score twice.